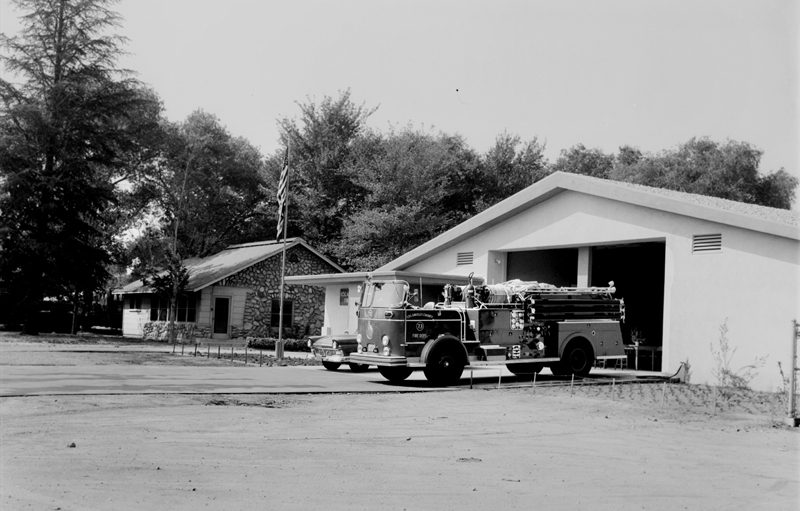 Dedication ofFire Station 73 in Newhall (the building at right) in July 1958. 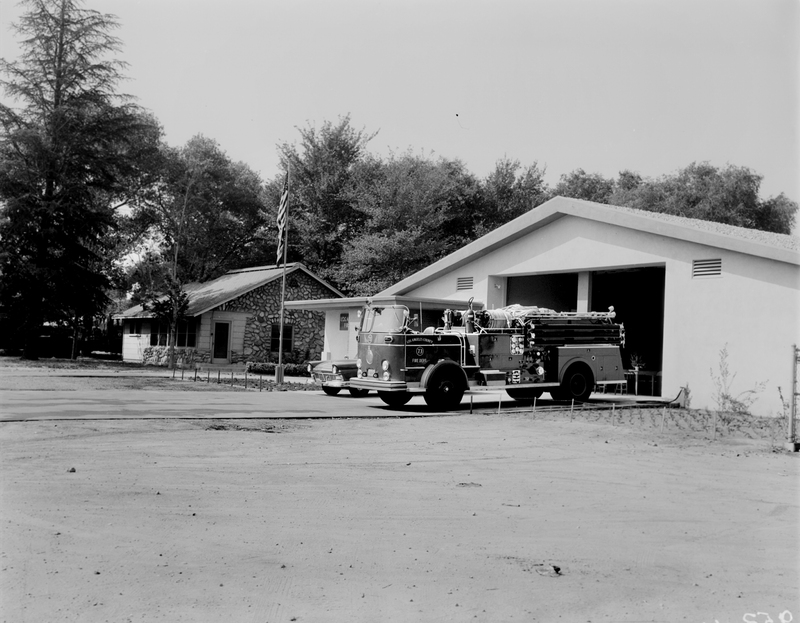 It was built immediately north of the old (1928) Soledad Division Headquarters of the L.A. County Forestry Department, a predecessor to the L.A. County Fire Department. As seen here, the new station was erected before the old one (at left) was razed. FD5801: 19200 dpi jpeg from jpeg courtesy of Fire Capt. Paul Peppard, Station 73, Los Angeles County Fire Department, 2014.